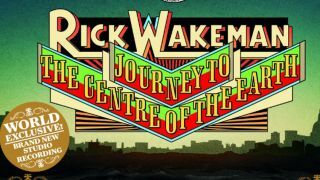 Our sister magazine Classic Rock has released its Rick Wakeman - Journey To The Centre Of The Earth Fanpack. This focuses on the keyboard legend's acclaimed Journey To The Centre Of The Earth album. The Fanpack includes the re-recorded version in its entirety for the first time. This features 20 minutes of new material that was cut from the original due to time restrictions, as well as material unearthed from the original score that had long been thought lost. The Journey To The Centre Of The Earth Fanpack contains not only the new album in full but also a 132-page magazine to accompany it. This contains extensive and exclusive interviews with Rick Wakeman and the musicians, conductor and production staff involved in the recording of this landmark release. The Fanpack also includes a replica programme from the 1974 Journey To The Centre Of The Earth tour. The exclusive T-shirt bundle, meanwhile, includes all of the above plus a replica of the highly collectable 1975 Journey To The Centre Of The Earth tour t-shirt. Order the Rick Wakeman - Journey To The Centre Of The Earth Fanpack now or check out a 16-page preview of the magazine. Click here to discover Rick Wakeman's 10 favourite prog-rock albums of all time.